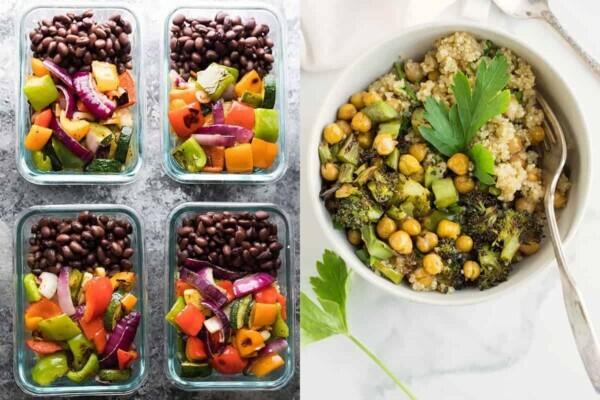 Vegetarian meal prep recipes- a little meal prep can go a long way in helping you eat a balanced and nutritious vegetarian diet. 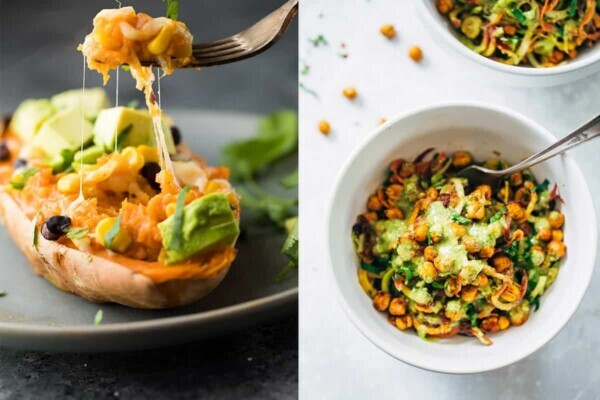 Check out these 25 delicious vegetarian meal prep recipes that are packed with protein to keep you full!! 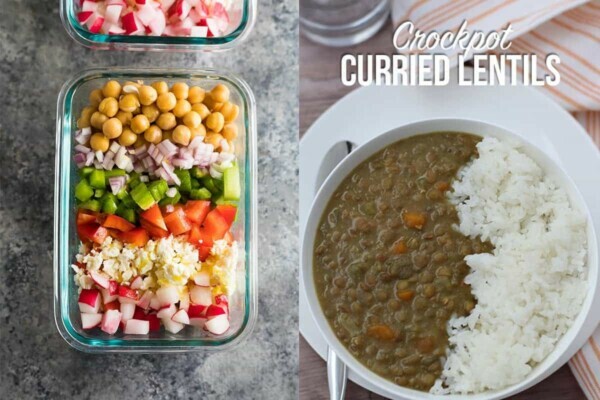 This year, we’ve been incorporating more and more vegetarian meals into our lives. I think I may have finally convinced Ben that vegetarian food can be just as filling as a meal with meat! 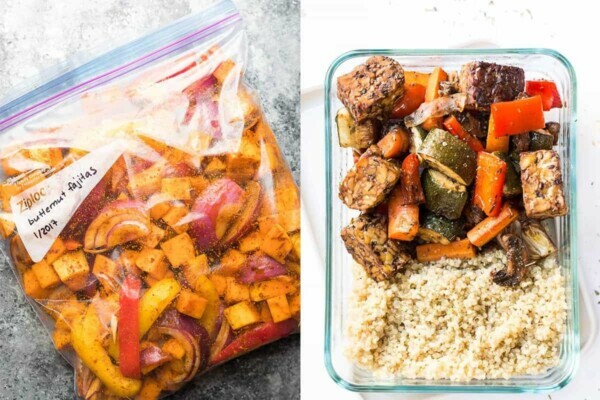 Making vegetarian meal prep recipes, whether it is breakfast, lunch or dinner, sets you up for healthy eating through the week. Not only that, but you will save yourself time, stress and even save some money! 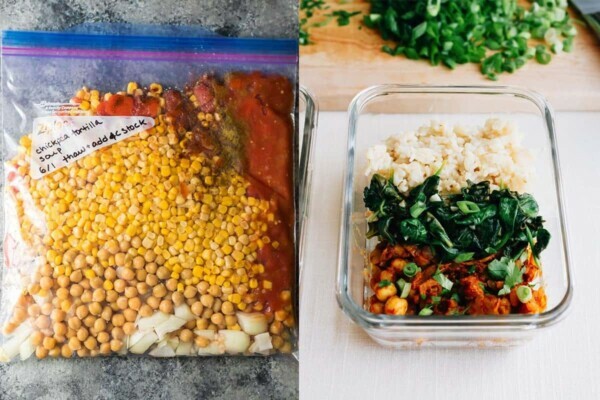 One thing I love about vegetarian meal prep recipes is that the proteins are super easy to work with, often as simple as opening a can of beans! 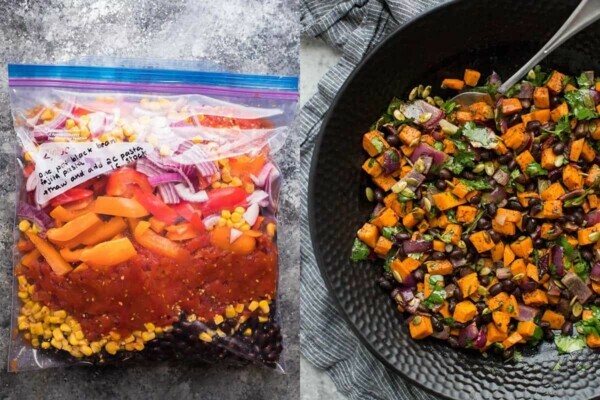 That makes prepping your meals even more efficient. 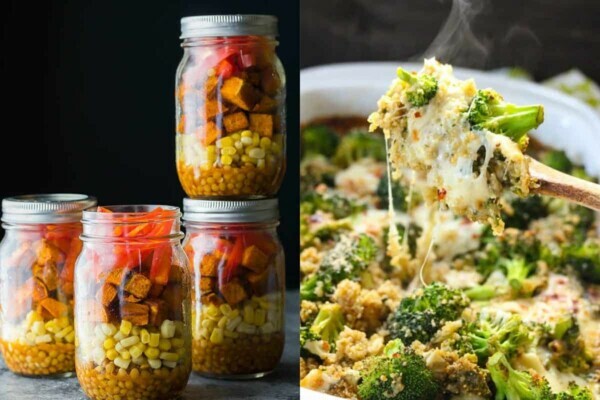 Today I’m sharing with you 25 Vegetarian Meal Prep Recipes…these are all lunch and dinner recipes since they are the harder recipes to find. 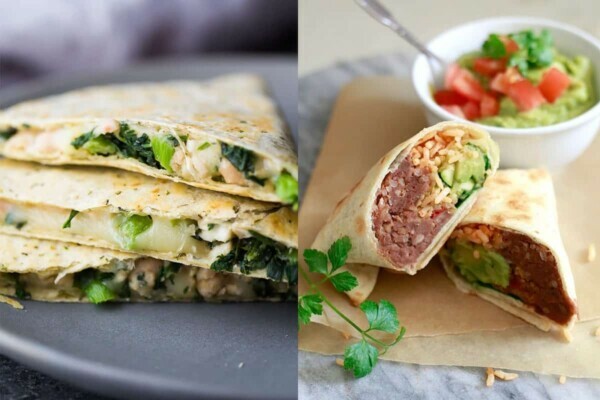 If you are looking for meal prep breakfast recipes, check out this round-up of 28 Healthy Breakfast Meal Prep Ideas; most of them are already vegetarian. 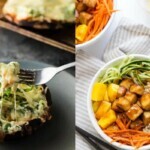 Looking for 100% plant based vegan meal prep recipes? 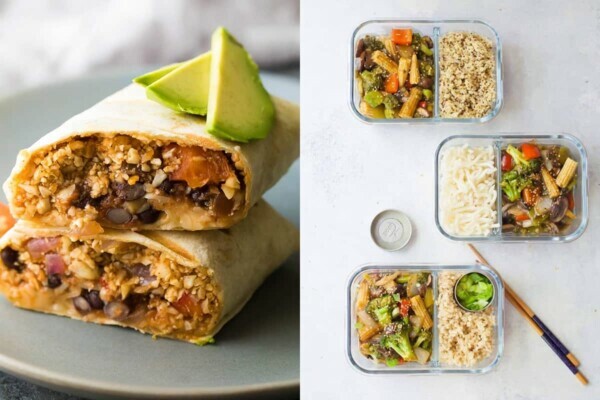 Check out this round-up of 25 Vegan Meal Prep Recipes. 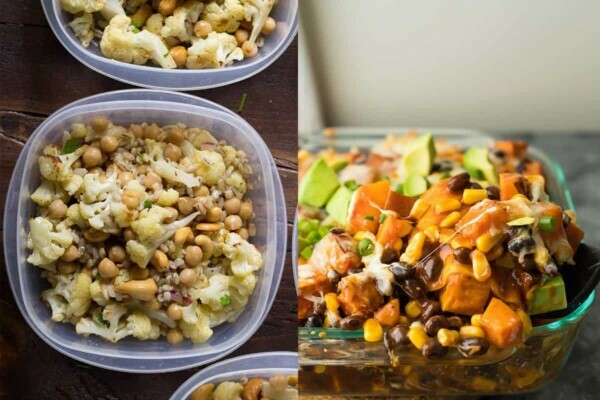 Shall we check out these vegetarian meal prep recipes? 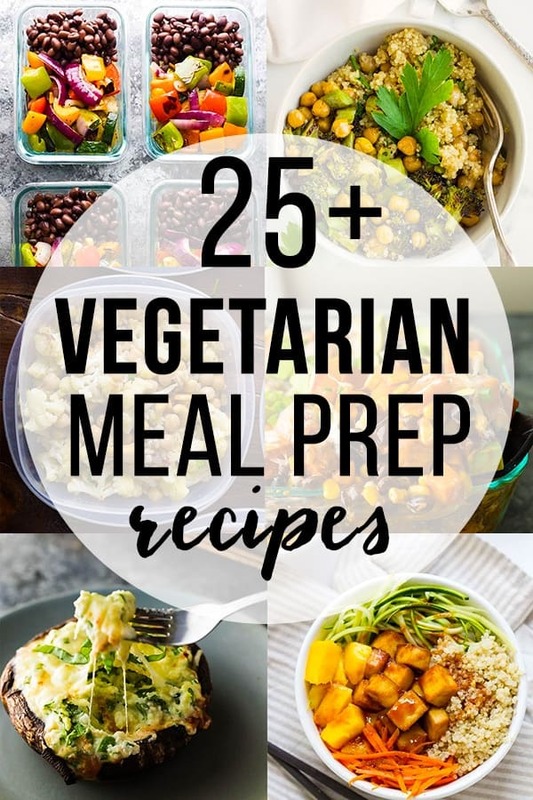 I normally look at links like this and find half of the recipes include ingredients that are not vegetarian or the recipes are complicated or there is nothing I like the sound of. So congratulations I have just printed off 17 recipes and i will try and make a different one each week. I’m looking forward to new and exciting lunches to replace my usual sandwiches. 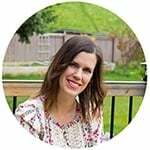 So happy to hear this! Hope you enjoy! 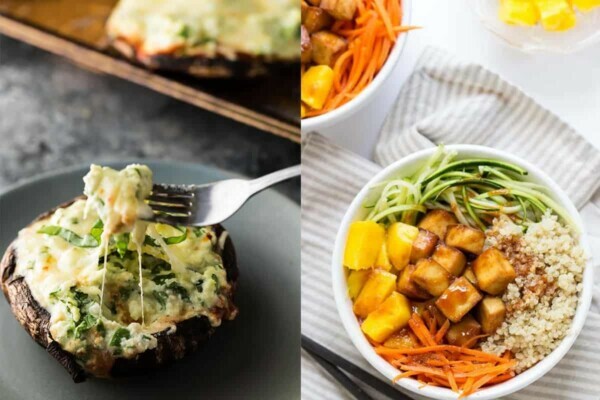 I can’t wait to try those portobellos!!! These are awesome, thank you so much for posting! You are very welcome, Bella! 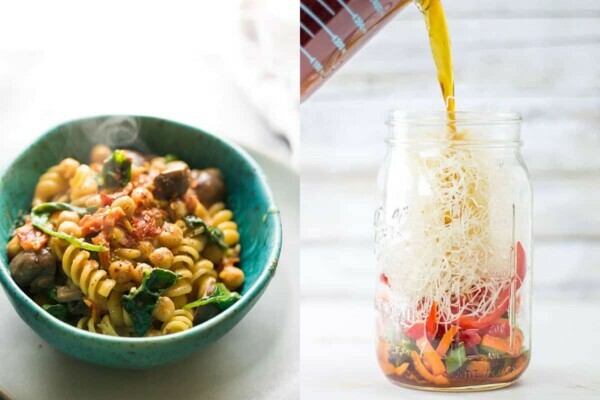 These are some amazing sounding recipes. I have not made any yet but plan too. 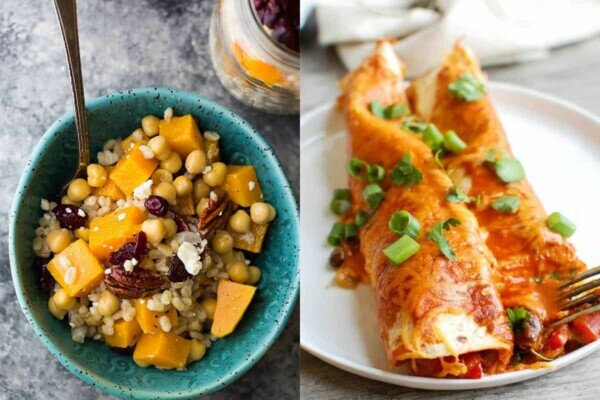 It can be a bit daunting to search online for great, easy, inspiring recipes. You have so many to choose from.